It has been said of some salespeople that you can easily spot when they’re lying–their lips are moving. Salespeople aren’t the only ones giving lip service to the truth. Job interviews are frequently built on one or more lies. The lying is happening on both sides of the table. Candidates misrepresent their abilities. Companies overstate the facts. Both parties omit details. The farcical dance that defines many interviews undermines effective selection. Candidates accept ill-fitting jobs based upon incomplete information. Companies end up having good interviews that turn into bad hires. Are the lies told by candidates and companies intentional? Sometimes. Often the deception is unconscious. People are simply doing things the way they’ve always been done, unaware of the consequences. Stopping the deception requires understanding and interrupting these lies. Let’s take a look at some of the different types of lying common in the hiring process. Lies of omission are the most common as people leave out details they believe could become a deal breaker. Candidates choose not to share a past mistake they think could end their chances. Interviewers avoid talking about negative aspects of the job out of fear they’ll turn off a talented person. Both parties neglect sharing the full truth hoping it will bolster their chances of a positive hiring outcome. Rooted in the truth, lies of exaggeration bend the facts in an effort to make someone or something look better than it is. Employers amplify advancement opportunities; candidates magnify the depth of their experience; both sides distort details. Instead of painting an accurate picture, companies and candidates take liberties that misinform and mislead. Lies of deception are a form of hiring magic. Like a magician who diverts your attention to create an illusion, deception in hiring is an attempt to divert attention away from negative details. Jobseekers change dates on resumes to cover up employment gaps. Companies misrepresent job details to make a role seem more attractive. Candidates and companies engage in a hiring version of fake news out of fear of the impact of the truth. It has been said that promises were made to be broken. That’s being lived out daily in interviews. Managers openly acknowledge an organizational problem, promising it will soon be rectified even though they have no authority to keep that promise. Candidates commit to improving weak skills if hired, knowing full well they lack the time and resources to keep the commitment. Promises in interviews are a common workaround for real issues that aren’t really going to be resolved. When in school, using ideas or work that is not your own will get you a failing grade. When hiring, plagiarism will get you a failed hire. Hiring-related plagiarism is being perpetrated by both parties. Jobseekers provide work samples that aren’t their own and have friends take online skills tests. Employers copy and use other companies’ well-written job descriptions knowing that these documents are a far cry from the job they’re offering. Believed to be harmless, white lies are relatively minor omissions, exaggerations, deceptions, promises, and plagiarism. Although minor, white lies still distort the facts thereby undermining sound decision-making. Accuracy in hiring requires accurate information. Without that, companies and candidates end up making choices they later regret. You can put a stop to these regrets by taking three steps. Teach everyone involved in hiring about the 6 types of lies, making it clear that these are often unintentional habits. Share how you’ve made these errors; your vulnerability can elicit the same from your colleagues. Support one another in a commitment to a hiring process that is grounded in rigorous honesty. Rigorous honesty doesn’t mean engaging in blind transparency. A productive hiring process should give candidates (and you) the details needed to make a prudent decision. Take time to determine the information that a candidate needs to know including job responsibilities, role expectations, company culture, compensation, and career development and advancement opportunities. Appropriate transparency that is rigorously honest will help them make an informed choice. You’re human and you’ll make mistakes, including when you’ve been in the practice of unintentional deception. Breaking this habit may take time, which means you may make some missteps along the way. Seize this as an opportunity. When you tell one of the 6 lies acknowledge it and clean it up. Remember that mistakes are your chance to demonstrate your excellence at problem-solving. In a world filled with fakery your organization’s commitment to stopping all forms of deception is an opportunity. An opportunity to strengthen your brand, improve the hiring experience, and deepen engagement from the very first interaction. Those benefits alone are worth letting go of the lies. Many ideas on faster hiring are focused on the employer. But what about jobseekers? Sustainable speed can only be achieved if both sides of the hiring equation are addressed. Here are 4 things jobseekers can do (and you can suggest they do) that increase hiring speed and improve selection accuracy. Recurring media reports from a variety of sources indicate that two-thirds or more of resumes contain misinformation. 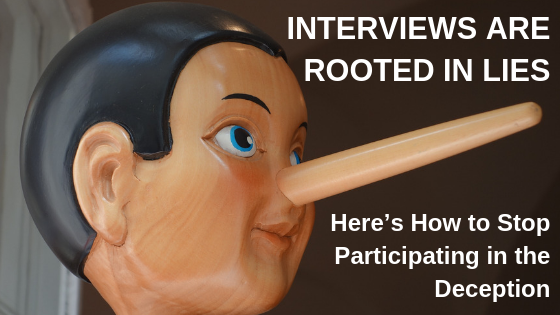 This frequent inaccuracy has elicited a knee-jerk response by companies—it’s assumed that resumes have exaggerations or flat-out lies and that these lies continue during interviews. To manage this, companies slow down the process and dive deep to find these erroneous details. Instead of hiring being built on trust, it’s a tedious process filled with suspicion and doubt. Combat this misinformation head on. Inform jobseekers that you’re not seeking perfect people, but people who perfectly represent themselves on paper and in conversations. Share examples of how you’ve hired less than perfect people and helped them advance their careers. Make your company a place where potential hires can be safely transparent. Like a farmer spreading manure to fertilize plants, many job candidates are spraying their resumes far and wide, praying one will take root and land them an opportunity. Employers end up buried in a pile of resumes, many of which are a crappy fit (pun intended). Sorting through this takes time, and time kills making good hires. Especially when a talented person, who was at the bottom of the pile, is snapped up by a faster competitor. 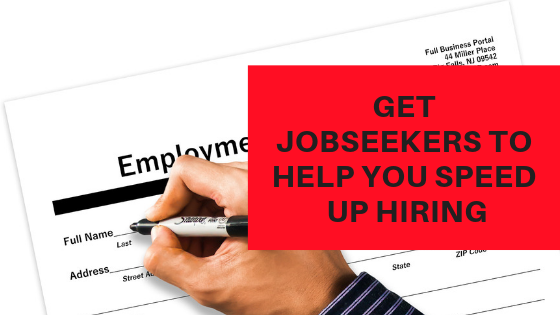 Encourage jobseekers to take a more targeted approach to their search. Start by setting and communicating boundaries early. 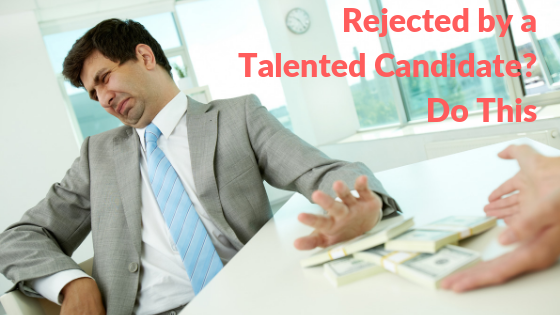 For example, in the content on your job opportunities landing page make it clear that you’ll only consider and respond to candidates who match required qualifications. Repeatedly reinforce and re-communicate this boundary. Popular places for doing so are on the page where candidates enter work history and just above the final “Submit” button for their application. Talk is cheap, especially when answering questions during interviews. Answering an interviewer’s questions may create a feel good moment, but these answers offer nothing in the way of proof of fit. That’s why so many good interviews turn into bad hires. Candidates talk themselves into the role, one that wasn’t a fit after all. Have each candidate offer proof in place of promises that he or she will fit in. Instead of letting a candidate tell you how she’d solve a problem, have her show you in a role play. Rather than asking about his top skills, have him demonstrate those skills by performing sample work. Require the candidate to go beyond sharing stories of how she works well with others and let her show you how she’ll collaborate with your current team. Showing, instead of telling, provides proof for making an informed decision. Searching for a job is an emotional experience. Too often feelings trump facts, prompting the jobseeker to accept a role because if feels right versus doing so because it is truly the right fit. Teach jobseekers how to make decisions rooted in facts instead of feelings. One approach is to ask the candidate to make a list of dealmakers (must-haves) and dealbreakers (must-not haves) and send it to you for discussion during a phone interview. Compare the list to the job and your company. Let people know where things match up and where they don’t. With eyes wide open, you both get to make an informed choice of whether to move forward or not. Helping jobseekers should be a top priority for everyone involved in hiring. Putting people to work is one way. Guiding them in how they seek work is another. Seize every opportunity you can to inform and educate jobseekers about their role in increasing speed and improving accuracy during the hiring experience. Your role in hiring gives you a unique opportunity to exert your influence beyond just filling the next job. Use that influence to make jobseekers better at their part of the hiring process. You’ll be giving them a gift that serves them the remainder of their careers. At a meeting of the leadership team of a health insurance company, Paul thought the idea of fast hiring was “repulsive.” As we discussed how to plan the process, Paul started making passive-aggressive comments. After he said, “What’s next? We’re going to replace our employees with robots, like in that Will Smith movie?” I knew our discussion wasn’t addressing all of his concerns. I asked Paul to explain. Instead of trying to convince Paul to change his mind, I decided to let him change it himself. That led to a conversation about rolling out a faster hiring process on a limited basis to start. Two leaders, who didn’t share Paul’s concerns, agreed to test the process. Choosing a job common to both of their departments, we designed a plan and timeline that could be implemented without interrupting day-to-day business. Two other leaders, including Paul, were designated as auditors, outside observers who would monitor and document the pros and cons as the process was rolled out. I met again with the leadership team after the beginning of the rollout. The two managers testing the process gave updates, sharing mostly positive news. They had made a few missteps along the way; however, both were upbeat. Both had filled two open jobs and lined up several additional candidates in their pipelines as potential future hires. During their updates, I watched Paul out of the corner of my eye. He spent the entire time looking down at his notes. He appeared angry, even angrier than when he shared his concerns in our first meeting. I learned why when it was Paul’s turn to share pros and cons as an auditor of the test. When recruiting and hiring, speed and accuracy are not mutually exclusive. Nor are speed and intimacy. A well-designed, well-executed hiring process allows people to be fully present and have conversations that matter. These interactions build trust as candidates learn they are dealing with confident professionals, and hiring managers discover which candidates are ready to make a job change. This trust becomes the foundation for the employment relationship, one built on a professionally intimate hiring experience. Trying to convince someone to see things differently is hard, sometimes impossible. Instead, let him or her do the heavy lifting. Ask a question like I did of Paul: What would you need to determine if faster hiring could work for your company? Integrate the responses into additional questions until you understand the root of the resistance and what will make it go away. Resistance isn’t always about the change itself. There are times when people want to change but are fearful of the overwhelm it may cause. A limited scope can help. Start with one role; run a short-term test; bring in outside help to lighten the load. By working together, you can drive forward a faster hiring process without driving people crazy with overwhelm and fear. Sometimes the path of least resistance is another person. Seek out an early adopter in your organization, someone who’s known for being first in line to implement new ideas. Work together to plan and execute the rollout. Make adjustments as you learn what works and what does not. Once the speedier process is in place and producing positive results, ask your early adopter to share their experience with others. Nothing enrolls doubters faster than proof positive. Resistance is futile (yes, for you Star Trek fans, that was intentional), especially when you’re the one trying to overcome it. Don’t go it alone and avoid doing all the heavy lifting. 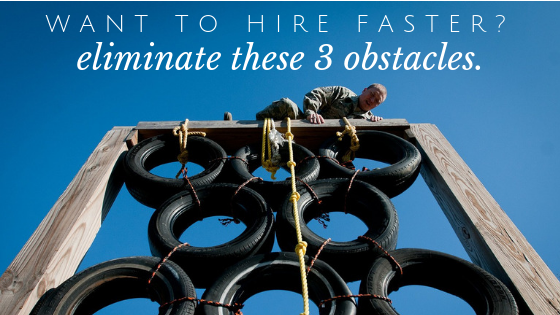 Effective hiring is a team sport. 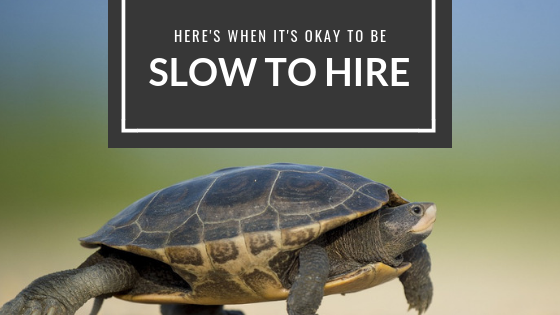 Speeding up hiring requires a team effort. One question can help hiring managers, HR leaders, and staffing professionals power through many types of problems, objections, and issues. In this video I walk you through how to use it. Talent fuels the success of your organization. That’s why your process must be efficient. 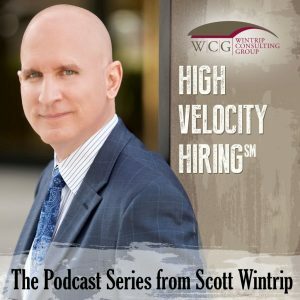 In this episode, I detail the four steps for improving recruiting and hiring efficiency. 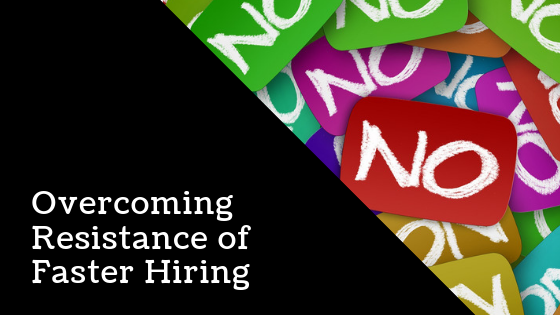 Want to Keep Candidates Fully Engaged During the Hiring Process? Do What Teachers Do. Teachers have a secret weapon for keeping students engaged—homework. As students do their homework, the subject matter stays top of mind even though the teacher isn’t present. That’s the benefit of giving candidates homework during the hiring process. You and your company remain top of mind even though you’re not present physically. Why is this important? You rarely make a hire in the very first interaction with someone. There will be some downtime between your initial connection and each step of the hiring process. These gaps in interaction are when doubts arise, concerns develop, or people simply forget to think about your company and the opportunity. Candidates jump on the internet to research other jobs, recall conversations they’ve had with other companies, and get feedback from friends and colleagues about what you’ve put on the table thus far. It’s important to shape that downtime, as much as you can, into something that benefits the candidate, the hiring process, and your developing relationship. That’s where assigning homework comes in. You may be thinking, “How in the world am I supposed to get candidates to do homework? Especially in this competitive job market.” That’s a common reaction. Which is why any homework you give has to be in the best interest of the candidate. When you design candidate homework, each question, task, or thought assignment is geared toward benefiting the candidate. People are much more likely to engage in a process when they can see the obvious benefit for themselves in completing the task. How’s this work? My interactions with Melissa are a good example. We were introduced at a social event by a mutual friend who thought Melissa would fit in well at my company. My first conversation with Melissa was brief, but it was clear there was mutual interest. We set up a time the next day for a phone interview. In preparation for that, I asked Melissa to do two things. First, send me her resume. Second, think about her objectives if we had the chance to work together and be ready to discuss those in our call. If Melissa were considering other jobs, she’d still be thinking about the possibility of working with me. The homework assignment was about visualizing a positive, successful working relationship together. Melissa would come to our call with specific needs and goals, allowing me to share specific details of how a job on my team could address those. I’d get a real experience of Melissa’s ability to take direction and follow through, both important traits among people who’d succeeded on my team. Our phone interview, including our discussion of how her wants and needs matched up with our company, went well. We scheduled a face-to-face interview for the next day. In preparation for that, I gave her another homework assignment: think about what she’d learned so far about our company and come prepared to discuss how we fit her professional and personal goals. This second homework assignment kept our company top of mind. Plus, it gave me another opportunity to experience her ability to take direction and follow-through. If we work together, how can we make it mutually beneficial? If we both agree to proceed, when could you start and what will you need to do to make that happen? Like the previous homework, these questions kept up the mindfulness and momentum. This assignment also let the better closer close “the deal.” That was her, not me. I knew she’d believe everything she said but may or may not believe me. Rather than trying to talk her into accepting an offer, I let her do it instead. All the while keeping me, the opportunity, and the company top of mind until we spoke again in that final conversation. Giving homework to candidates allows them to continue to experience the benefit of remembering you, your company, and the potential value of working together. Instead of being out of sight and out of mind, which could push you out of contention of landing a talented person, meaningful homework improves your chances of celebrating your latest, greatest hire. 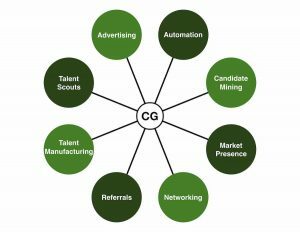 Hiring Staffing Salespeople? Look For These 5 Attributes. Making quality sales hires continues to be a challenge for leaders in staffing and recruitment. This episode of my podcast will help you accurately identify people who will be successful on your sales team.